Our Beef spend a lot of time grazing and roaming rotational pastures thru out the year. It's always a beautiful sight seeing them out on the green land. We can assure you they have no hormones or GMO's and have plenty of fresh air and sunshine. Our free-range chickens are raised on pasture and enjoy bugs and clover. The flavor reflects this as well as nutritionally. The chicks spend 2 week in the brooder and then spent the rest on forage. We raise two types of lambs. A traditional wool lamb that has nice lamb flavor and a hair sheep type which has more of a mild lamb flavor; similar to a beef flavor. Our lambs are born on pasture and finished on pasture; giving them excellent flavor. We consider our pork as special. Many tell us the flavor is what they remember pork used to taste like. It is so different. The flavor is much like the older traditional pork. A pig outside will convert sunshine to Vitamin D in the skin and fat. You may not know this and this is a benefit to the lard. 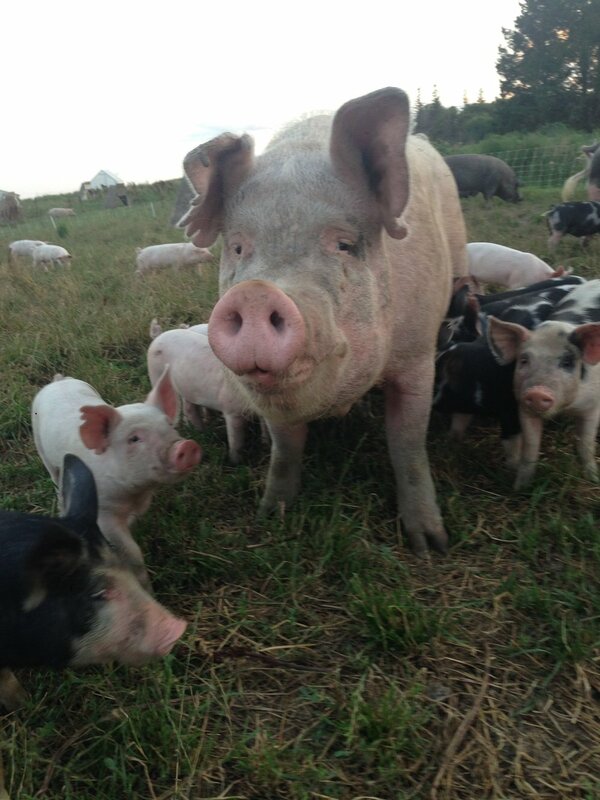 Although our pork is not "certified organic" they do live on certified organic pastures. These farm fresh eggs are flavorful and much more robust that perhaps those you have had before.Our chickens get plenty of fresh air, bugs, grass and exercise. We want to give you "Special" eggs full of color and taste. Eggs are available by the dozen.